Flares must be carried in boats operating in both semi-protected and unprotected waters. They are used to indicate that help is needed and show your boat's location to a search vessel. 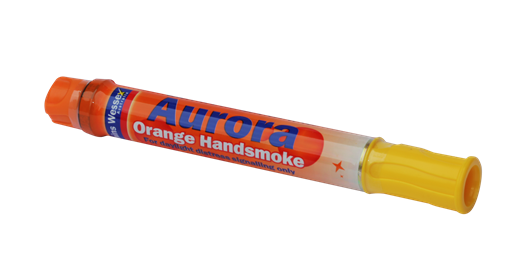 Flares should always be stored in a waterproof container and must be replaced before the expiry date printed on the packaging. Expired flares need to be handed in to your local police station for safe disposal. Know how to release a flare. Remember that flares contain a small charge and can cause injury if misused so take care when handling and using them. They should be stored away from the reach of small children. These flares are capable of reaching a height of 300 metres and can be seen for up to 40 kilometres at night and 15 kilometres by day in good weather conditions. press the firing lever against the cylinder to fire. These flares can be seen up to ten kilometres away. once flare is ignited hold away from you and as high as possible until finished. This type of flare is visible up to four kilometres away and is for daytime use only. remove caps from each end - the bottom cap is a striker. Hold flare at base and use striker to ignite flare at top end. The safe disposal of expired flares is essential to prevent any injury from unintended, or deliberate ignition/firing in a non-emergency situation - eg flares are not to be disposed of in rubbish bins and landfills etc. 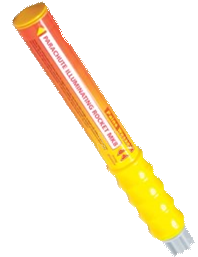 It is a legal requirement in South Australia that expired marine distress flares be handed in to a police station equipped to handle marine pyrotechnics. These flares are then collected by SafeWork SA and safely destroyed. Further details are available from the SafeWork SA website.